Energun's 'Throwback' is the new LP by the band from Belarus. Six original productions driven by immense dissonant synths, laid over massive drum grooves.  Remixes by Ade Fenton, The Subdermic and Miss Electric wrap-up this techno pack . Nine hypnotic tracks perfect for the dark and low dance floors. MER is back with a second reference. Releasing the old-school techno sound they stand for: fast-paced, hypnotic and pounding. Energun project created in 1998 by two like-minded Denis Sinitsyn and Sergey Maksimchuka. Cool start taking Energun released a series of vinyl releases (Salpeter, Kazumi, Highball, etc) and to celebrate all major festivals of the post-Soviet space. After the break, taken in 2006, the project participants were mainly studio work, updated equipment and experimented with sound, which resulted in the creation of several side-projects, the most famous of which were vocal and electronic experiments within the formation Energun vs. Logika. But the roots have taken their toll and already in 2011 on live performances Energun could hear a real techno sound. Another important event of 2011 was the founding of the label Energun Records, which in addition to its work, the band released the famous representatives of the national electronic scene. A series of new releases willingly supported and included in their sets, many stars and luminaries techno. Also, based on the production studio operates successfully Energun Records Mastering Service, which helps musicians make electronic signature sound by professional mastering tracks. Energun subsequent years continued to promote the creation of techno. It was released a large number of releases on the most famous techno labels (Decoy, Affin, Newrhythmic, Android Muziq, Darknet, Slap Jaxx, AcidWorx and ect. ), After which received tremendous support from the techno community (Dave Clarke, Richie Hawtin, Giorgio Gigli, Marcel Dettmann, Inigo Kennedy, Milton Bradley, Takaaki Itoh, Mattias Fridell, Kr! z, Norman Nodge, Bas Mooy, Tommy Four Seven, and many others). Continued progress in the search for studio gave fruit and made in 2014 for a record Energun 3 vinyl release - 42 digital and 42 tracks in various artists. But despite on seemingly fruitful production activities to date - Energun, continues to delight its Live shows, during which skillfully combines DJing with improvisations on analog synthesizers and samplers. According to the musicians - each live performance - a kind of a unique experiment, during which, sometimes intuitively are infinitely new colors and facets of techno music.